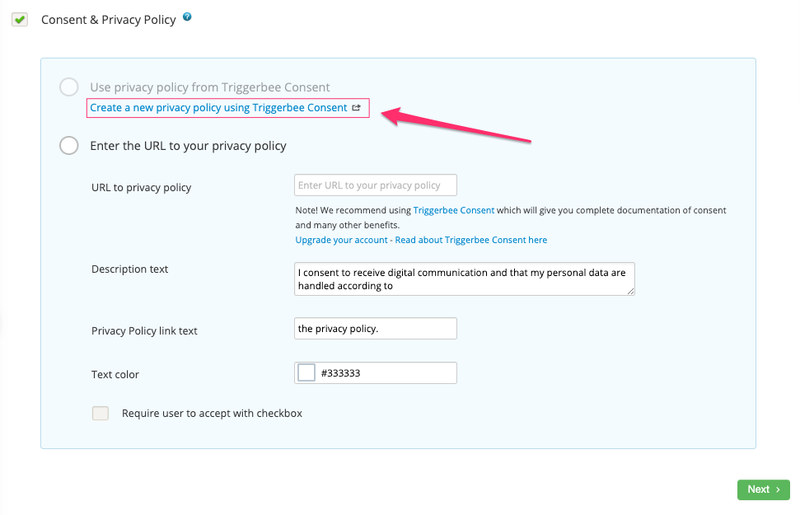 The steps below walks you through how you can create a policy from your Widget editor and connect it to your widget. 1. Navigate to Widgets, create a widget and choose a template. 4. Enter your company's name, and your full contact information in the format below, then click on Save. 5. Click on Create New. Note: These are standardized templates that cover basic information about tracking, cookies and usage of personal information. It is not specifically and automatically customized to your website or your company's processes, so WE RECOMMEND you read it and customize it to fit your company. Red square: Introduction text. 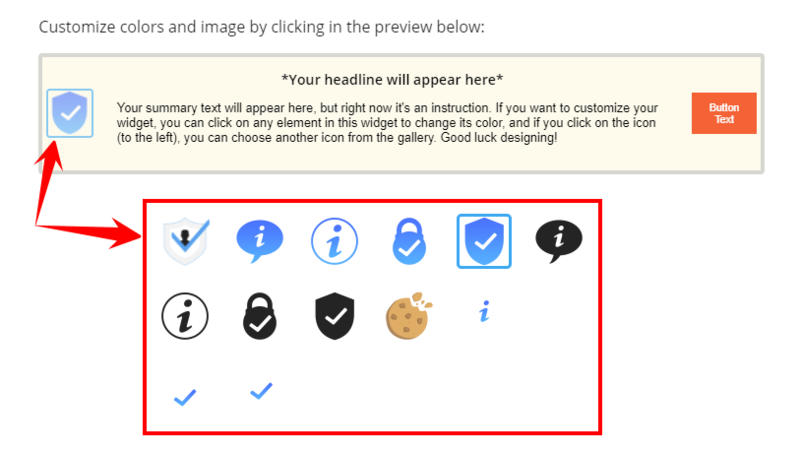 A single sentence to present what your visitors will see when they click on your notification on your website. This is illustrated in the top picture to the right. 9. 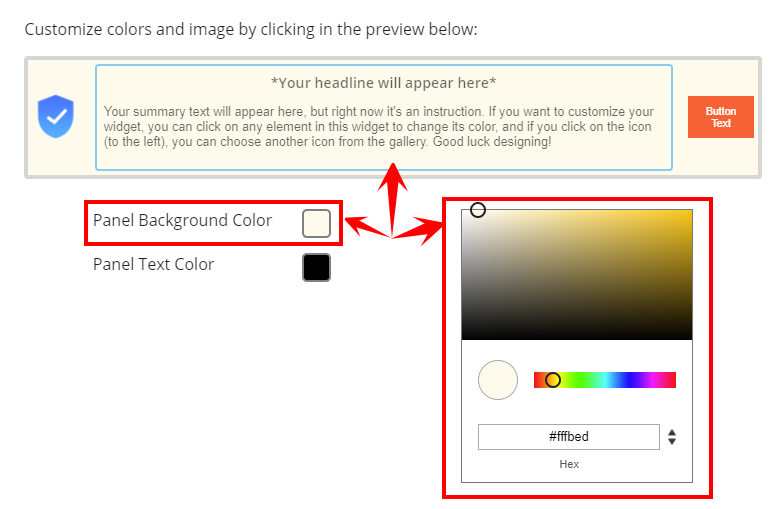 Under Appearance, you can customize your widget to fit your brand colors and select an icon. Click on any element in the widget to change its colors. 10. 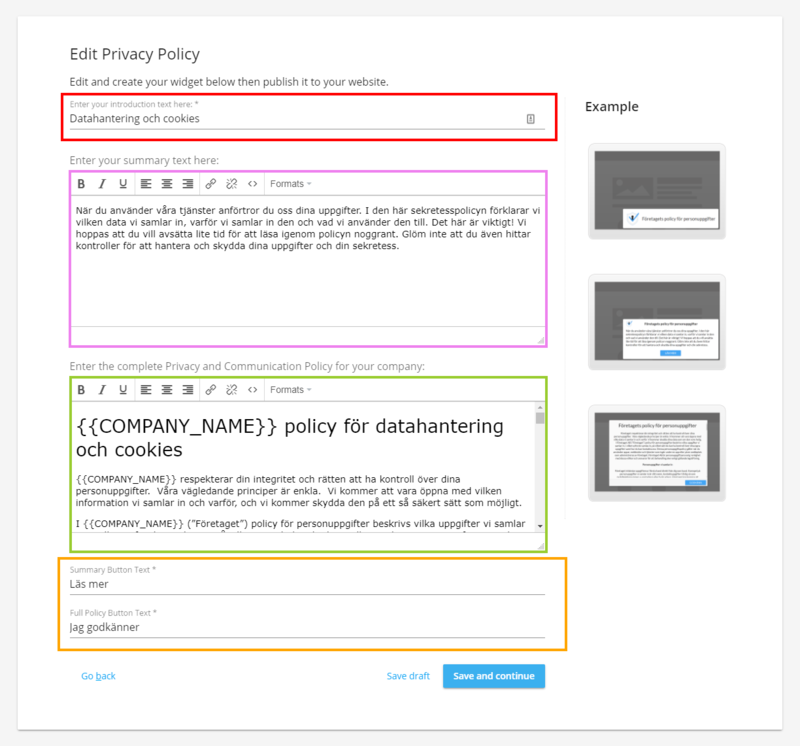 In the last step, you can choose if you want to show your policy as a standalone popup, or only below your forms inside your widgets.